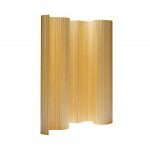 Made of fine pinewood strips that have been vertically aligned, Screen 100 can be rolled up for storage and rolled out to form straight lines or fluid curves. 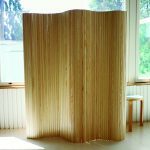 The screen can be used to divide rooms or section off areas, and at 150 cm tall, it will add structure to space without obscuring vision. Light, with balanced proportions, the screen is easy to move around as needed and will bring the warmth of wood to any room in which it’s placed. 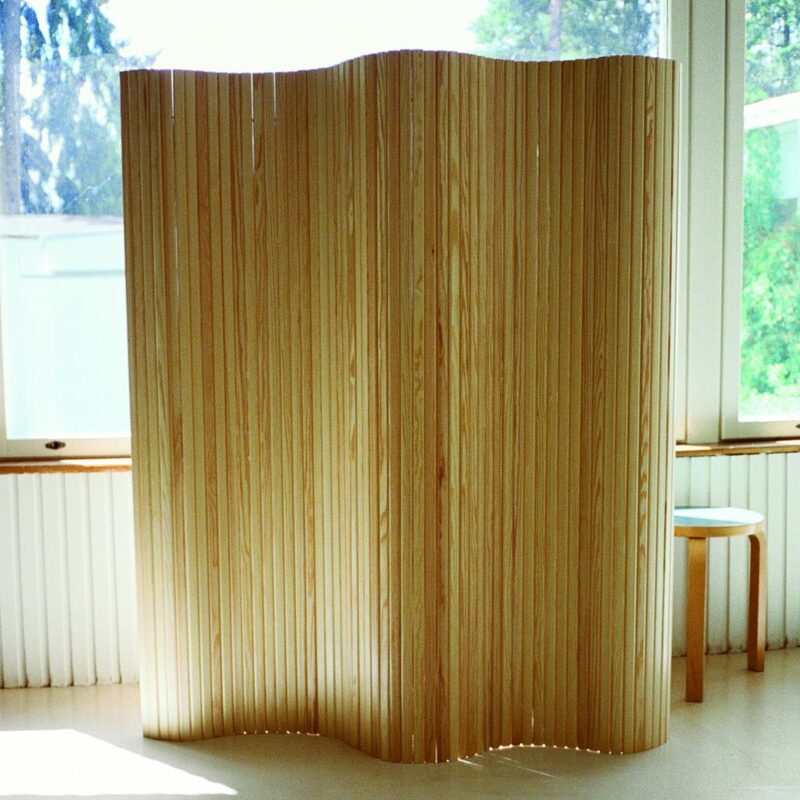 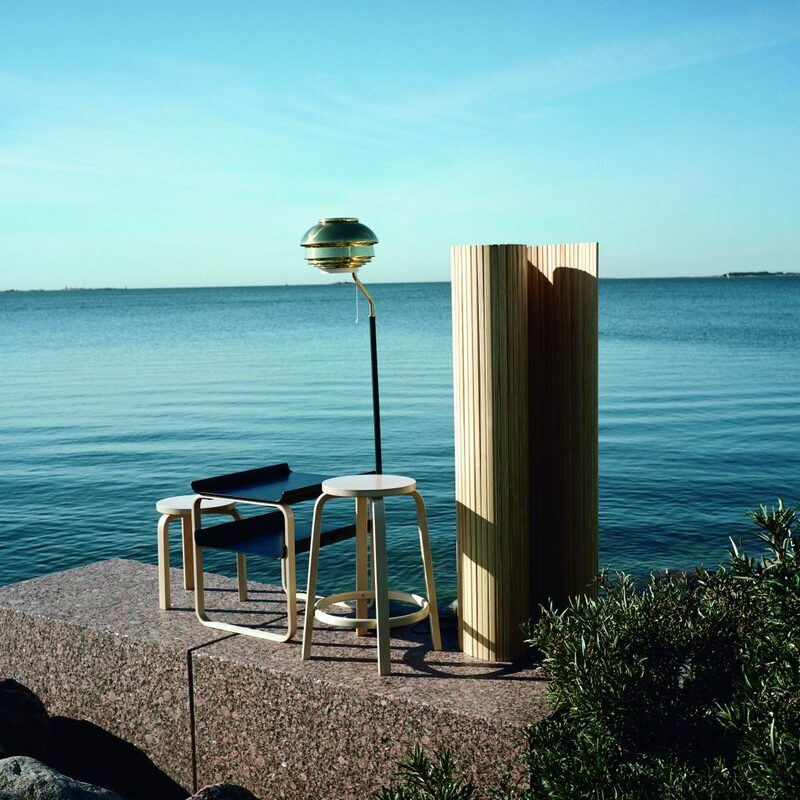 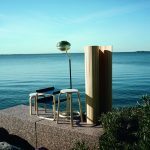 Designed by Alvar Aalto, Screen 100 displays the Finnish master’s unmatched ability to meld traditional materials with organic shapes.